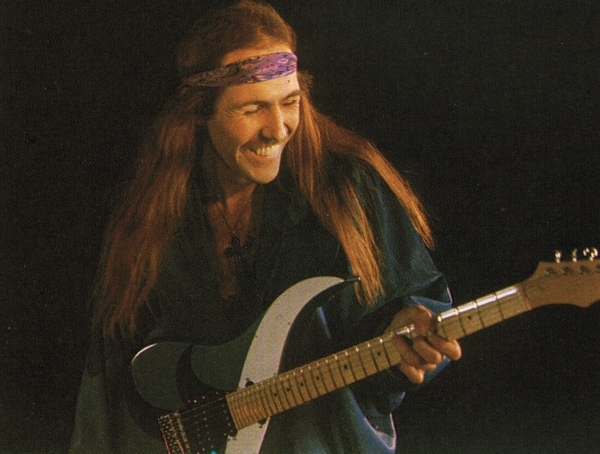 Uli Jon Roth was born in Düsseldorf, Germany, on Dec 18, 1954. He often cites his father, Carl-Joseph Roth, as a role model, an all-round artist, who made his living as a well-respected journalist. Early on, his father instilled in him a love and knowledge of the visual arts, including painting and photography, as well as writing poetry, storytelling and novels. Uli discovered his love for the electric guitar in 1968 and played his first concert later that same year at the age of 13 as lead guitarist for the band Blue Infinity. His early influences were The Beatles, The Cream with Eric Clapton and Jimi Hendrix. 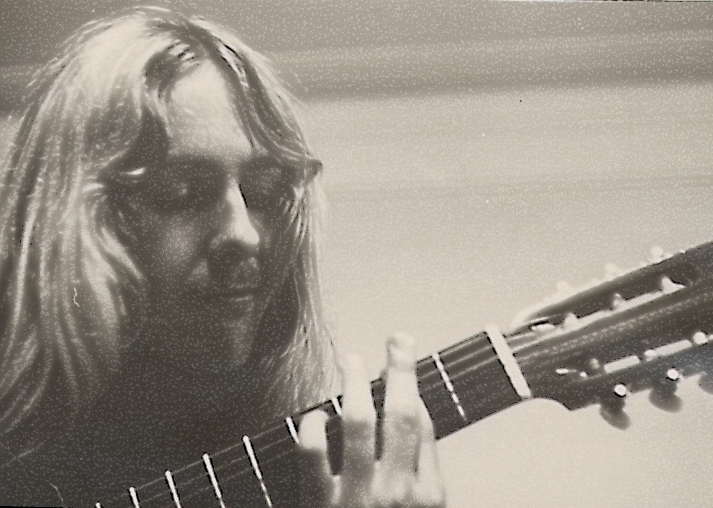 In the following years while still in high school, Uli played in a number of bands in Hanover including Dawn Road while also studying classical guitar as well as the piano. His influences at that time were Andrés Segovia and Julian Bream, but also Flamenco guitarists like Manitas de Plata and the great violinist Yehudi Menuhin. 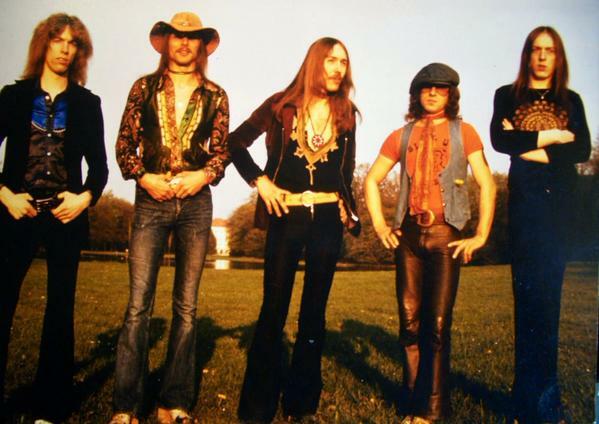 In the year 1973, Uli’s friend, Michael Schenker, quit the already established band Scorpions to join UFO in England. This lead to the break-up of the Scorpions, which his brother, Rudolf Schenker, had formed in the Sixties. But before leaving the band, Michael asked Uli to take his place instead. Later that year, the two remaining members of Scorpions - Rudolf Schenker and Klaus Meine - joined forces with the four members of Dawn Road in the summer of 1973. 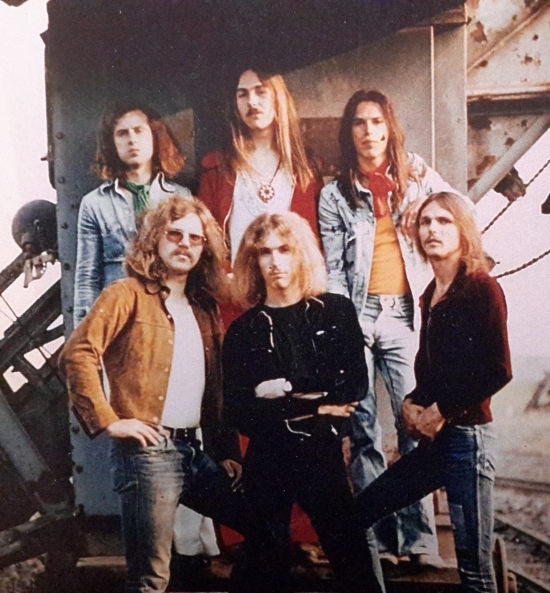 Soon afterwards, the “new” Scorpions played their first gig, which happened to be a two-song live appearance on one of the two main German television channels. This lead to a 5-year record contract with one of the major international record companies at the time, RCA. During his five year tenure as a member of Germany’s number one rock band, Uli built the foundation for his status of guitar legend. He quickly established himself as one of the main songwriters in the band and soon gained an international reputation as one of the most important innovators of the electric guitar. The Scorpions were playing a lot of live-shows each year - beginning first in Germany - but from 1975 onwards, also increasingly abroad. 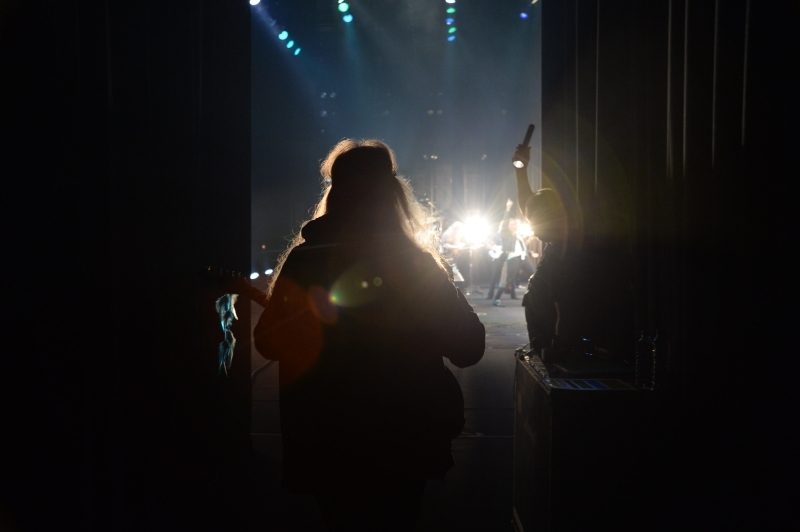 The experience of constantly playing live and touring was to prove invaluable in order to develop their style and sound and to hone their live skills as a performing band as well as being able to learn how to interact with the various audiences abroad. The success of the band grew exponentially with each year and the band developed a strong following, particularly in countries like Belgium, France and England, but also especially in Japan, where they also achieved their first ever gold album, Virgin Killer, in 1976. Uli recorded five albums with the Scorpions - one for each year of his tenure. Each one of these was to achieve iconic status in the history of rock music. The band recorded altogether four studio albums and one live-album during that five-year period. These were - in chronological order - Fly To The Rainbow (1974), In Trance (1975), Virgin Killer (1976) and Taken by Force (1977). Uli's farewell album from that period, was to mark the end of the early Scorpions era. It was a live album recorded in Japan in 1978 - Tokyo Tapes. It is generally recognised as one of the great live-albums in the history of rock music and has influenced scores of younger musicians. In the spring of 1976, Uli met the German artist Monika Dannemann in London and soon the two became romantically involved. 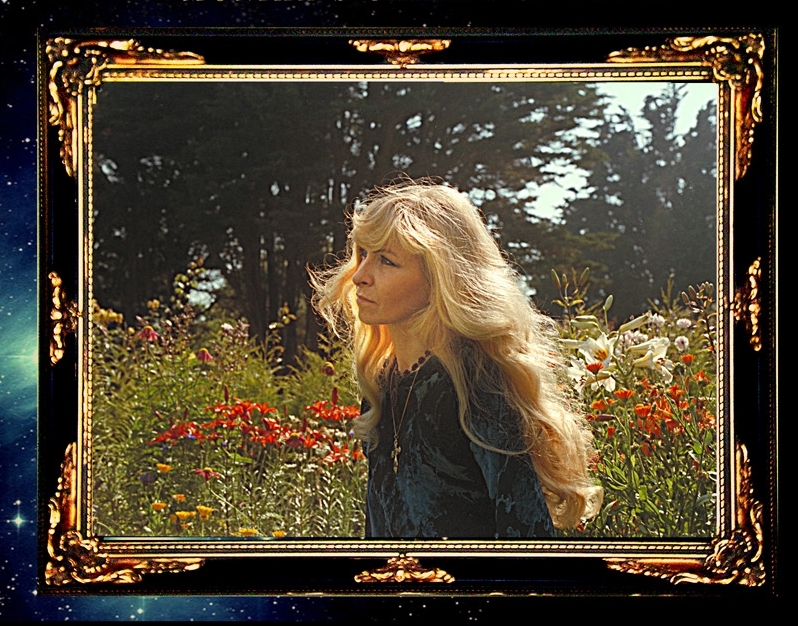 Monika greatly helped Uli towards a kind of spiritual awakening and became like a muse and force of inspiration for him. Notwithstanding his friendship with the other members, Uli felt increasingly stifled by the confinements of mainstream rock music during his final year with the Scorpions. His main ambition and driving force was the desire to become a better artist and all-round musician with the freedom to explore the realm of music in his own rather unconventional way and on his own terms, an approach which was not exactly mainstream. It was obvious to Uli that the songs he wanted to write at that time would not fit into the framework of the Scorpions style and therefore, in the spring of 1977, Uli felt he had to leave the Scorpions in order to forge ahead into the unknown on his own. After having completed the recordings for Taken By Force, Uli handed in his resignation, but although his heart wasn't in it any longer, he still stayed on for another year because of the loyalty he felt towards his friends in the band. Eventually - before their first tour of Japan - in April, 1978, Uli made it clear to the band that this was to be his final tour as their lead guitarist. After the summer, Uli founded the band Electric Sun - initially designed as a three-piece outfit - in the tradition of Cream and Jimi Hendrix. From the beginning, Uli intended to enlarge the band at a later stage, but wanted to start from a very different, almost minimalist vantage point by stripping down everything to bare essentials. The three-piece format brought with it increased responsibilities on stage, but also gave him greater artistic freedom at the same time. 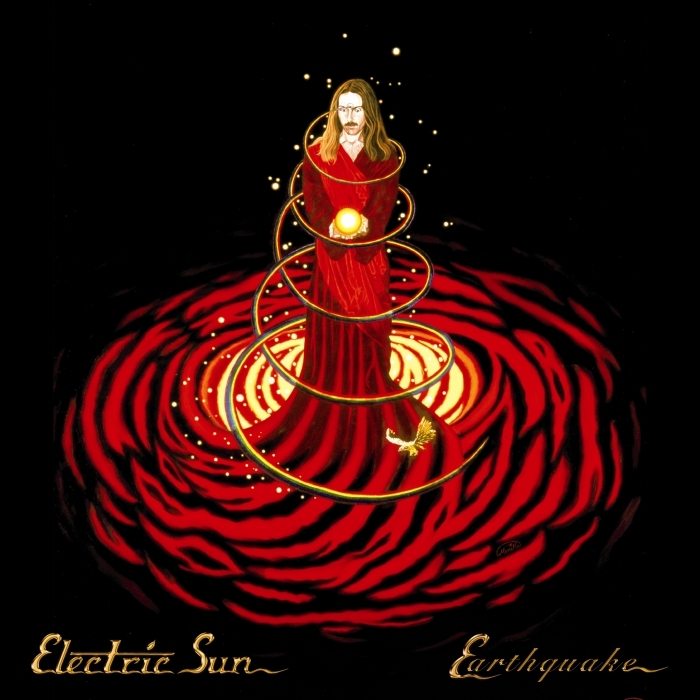 From the first album onwards, Earthquake - recorded in the iconic Olympic Studios in London in the winter of 1978 - Uli created a unique and unmistakeable style for Electric Sun, which progressed and matured during the course of two further studio albums and various tours. The front and back covers of Earthquake were graced by original artwork by Monika Dannemann. This first album, Earthquake, initially received a somewhat mixed reaction after its release in spring 1979. Many people had expected Uli going solo would result in an album along the lines of Virgin Killer, times ten... This was far from Uli's intentions, however, and some hard rock fans were disappointed to hear an album, which was anything but Virgin Killer. On the contrary, Earthquake was unlike any other album on the market. Although there was unmistakeable Hendrix - even dylanesque influences - in many of the songs, there were also distinctly classical leanings; this was particularly apparent in the title track, Earthquake - a ten minute instrumental epic - which presented a totally novel approach to guitar playing. After the initial, somewhat muted reception, however, Earthquake came eventually to be regarded by many as an influential masterpiece and the new guitar techniques introduced on the album on songs like Still So Many Lives Away, Burning Wheels Turning and Earthquake itself were widely copied by younger guitarists and served as a blueprint for a novel, neo-classical guitar technique. The second Electric Sun album, Fire Wind, was much easier to digest for the more hard-rock oriented listeners, because it had an altogether harder rock edge and sounded perhaps less eclectic. The most outstanding track was the 4-part epic Enola Gay - Hiroshima Today? Beautiful artwork by Monika graced the front sleeve and, like on all previous albums that he had previously been involved in, Uli's guitar playing had entered yet another new plateau and created a stir not only amongst guitarists. In stark contrast to his impeccable virtuoso guitar playing, Uli's vocals had often drawn criticism, because they were more in the story telling, talking voice style of Dylan and Hendrix as opposed to Klaus Meine's flawless rock tenor voice. On the Fire Wind album especially, more than on any of the others, Uli's lead vocals were being widely criticized as too eccentric and were definitely anything but main stream. Uli was aware of this and conceded the point. Even before the first Electric Sun album he had looked for a suitable vocalist, because his initial intention had been to find a singer. Yet because the music was so unusual and guitar based, it had proved too difficult to find the right kind of person with a suitable voice. Following the release of Fire Wind, the band started to become more popular, particularly in England and France, but also in Sweden. However, Uli decided to take some time off from the limelight in order to work on new music and to further his quest to explore the metaphysics of music and philosophy. In 1983, after a two year hiatus, Electric Sun embarked on a tour of Sweden, with a new line up. This was followed by England, where they managed to virtually sell out Hammersmith Odeon and various other big halls. The tour was a resounding success and the audiences were ecstatic as can be witnessed on the Historic Performances DVD from that tour. The live band Uli had chosen for this, consisted of altogether seven musicians onstage, including Ule W Ritgen on bass and two drummers with renowned Ex-Jethro Tull member Clive Bunker in the lead and two back-up singers, as well as keyboards. 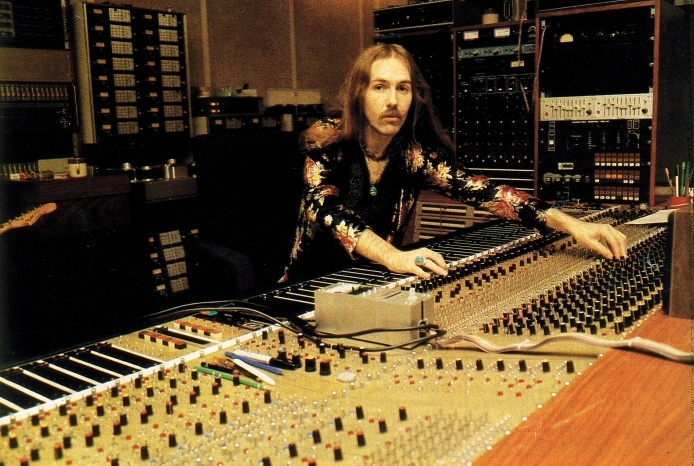 Uli spent the first half of 1984 in various studios in and around London in order to record and produce what he considers his finest Electric Sun album, Beyond The Astral Skies. This album was another landmark and it was released with much fanfare by EMI at the beginning of the following year, 1985. Uli's vocals on this album successfully blended with the music and was backed by other vocalists as well. The guitar was not negelcted either. Particularly melodic guitar leads like those on I'm A River and the totally inspired I'll Be There guitar lead took electric guitar playing to yet another plateau of artistry. A single was released - The Night The Master Comes - including a promo video, which was filmed in January in London. It was around that time that Uli started using the Sky Guitar as his main guitar, which he designed and which featured a much extended fingerboard. The first Sky Guitar prototype was featured in that promo video. The guitar created a bit of a stir in the guitar building industry, because of its distinctive shape and its ability to play much higher top notes and was copied by several companies almost immediately. At the end of February 1985, Electric Sun embarked on a long tour of more than 50 shows to promote the Astral Skies album. The tour began in Europe and was followed by a comprehensive tour of the United States. There, Electric Sun had already eagerly been awaited by the fans, because a sizeable cult-following for Uli had flourished over the years. Although he had not played the States with the Scorpions, Uli's reputation had preceded him to America and the audiences were lapping it up. The first Electric Sun show - at Fender's in Long Beach, California - was jam packed and was a tremendous success, followed by Uli’s first appearance in Los Angeles, at the Country Club in front of a sold-out house of around 1000 people, which included none other than Steve Vai and Fish. Uli remembers this show as one of the musically best Electric Sun ever played. In San Francisco, the show was attended by all the members of Metallica, including a very young Kirk Hammett, James Hetfield, but also Joe Satriani. Despite it being in many ways successful for Electric Sun, however, this American tour resulted in a heavy financial loss and an estrangement from Uli's management, which hadn't handled the overall finances very well. This, coupled with a certain disenchantment with the constant traveling and that which Uli used to call "the rock and roll circus", eventually led him to the decision to disband Electric Sun. He somehow also felt that, musically, he didn’t fit in with the spirit of the times. The mid-Eighties were the time of what used to be called “hair bands” and corporate rock and heavy metal were in ascendance. Uli’s more “Hendrix-meets-classical” musical direction was seen as an acquired taste by some at a time when the general trend moved towards easy listening music. The last concert Electric Sun ever played was at the Milwaukee Beer Fest, on July 4th, 1985, seven years after the inception of the band. During the years that followed, Uli largely stayed out of the limelight and only played a handful of selected shows over a period of altogether thirteen years. He wanted to find a new kind of music and deliberately stayed away from the mainstream, because he felt the current music scene didn’t have much to offer that he was interested in. Artistically speaking, this was to become one of the most important phases of Uli's life, a time of introspection, and a time where he wrote a lot of new music prolifically, but one where - on the other hand - he recorded and published very little. It was a time of changes and new beginnings for him and he enjoyed experimenting with the creative freedom allowed of working without the restrictions of a band. 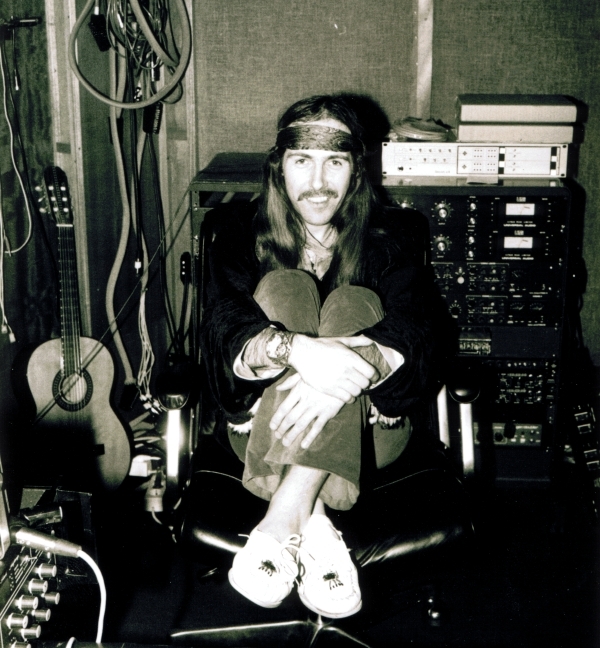 Uli began writing several large-scale pieces with the intention of merging the world of classical, or romantic concertos and symphonies with the unique voice and flair of the Sky Guitar. The first of this was an epic musical journey for Sky Guitar and symphony orchestra, aptly named Sky Concerto, which he began writing in the second half of 1987. The piece was finished as a piano score over a year later, but unfortunately never got finalized in terms of orchestration, let alone recording. It was the technical challenges for the guitar which this concerto posed, which gave Uli the idea to have the first seven-string Sky Guitar built, Mighty Wing. Soon afterwards, Uli also wrote Aquila Suite, a series of 12 concert studies for solo piano. He also wrote and recorded much of another unfinished epic piece, Soldiers of Grace, followed by the Hiroshima de Profundis Symphony, which also remained unfinished, but the beginning of which can be heard on Transcendental Sky Guitar in a haunting rendition with Liz Vandall on vocals. Classical music has always played a fundamental role in Uli’s musical view of the world. Even during his time with the Scorpions, it was his classical leanings and techniques, which he borrowed from the world of violin and piano playing and which he managed to translate to the guitar, which set his playing apart and which brought him international recognition. Uli was the first electric guitarist who had the vision and ability to significantly introduce a whole armoury of classical techniques towards the electric guitar, thus vastly expanding the hitherto somewhat limited technical vocabulary available on the guitar. Furthermore, Uli was the first guitar player in rock music who brought genuine classical know-how and virtuoso dexterity towards the instrument, a fact which has gained him the somewhat strange title of “father of neo-classical”. As early as 1976, Uli played fast and exciting diminished arpeggio runs during songs like Catch Your Train and the iconic Sails of Charon. This had never been heard before in rock music and many of Uli's ground-breaking techniques, his runs, phrasings, arpeggios - even dive bombs - became a blue-print and stepping-stone for legions of younger guitarists, who tried to emulate his style and ideas. This included younger players like Eddie van Halen, Yngwie Malmsteen, Steve Vai, Joe Satriani, who - before embarking of successful careers of their own and becoming famous in their own right - have named him as a major influence. Uli’s fast arpeggios, which encompassed several octaves, and his highly melodic, sometimes unorthodox runs and ingenious use of phrygian and myxolydian modes have helped to spawn a generation of so-called “shredders”. It is a fact which Uli is not exactly proud of, because in the decade that followed Uli’s first exploits of these new techniques, an army of shredders grew up, many of which mindlessly and mechanically zig zagged by playing frantic arpeggios up and down the fretboard at ever increasing speeds; and this, while completely missing the original and most important point Uli had made - which was that the arpeggio always has to be tastefully and sparingly presented and always had to be subservient to musical expression. In the hands of the appropriately titled shredders, however, unfortunately those kind of arpeggios soon became a lethal tool of boredom. Eddie van Halen’s famous two handed tapping style suffered pretty much the same fate soon afterwards, in that it became an overused fad in the hands of a legion of Eddie clones and the same happened to Swedish guitar prodigy Yngwie Malmsteen, who had also used a lot of Uli's arpeggios and phrases as his inspiration, but sped them up and created his own style of superfast playing from this background. Apart from his stature as one of the great innovators of the electric guitar, Uli Jon Roth also has gained a widely recognized reputation as one of the foremost - perhaps even the foremost - interpreters of the music of Jimi Hendrix. Pretty much from the moment when Uli witnessed the Jimi Hendrix Experience live in concert as a teenager, in January 1969, Uli bonded with the music and message of Jimi and identified with much of it, particularly in his formative years. Uli considers Jimi Hendrix as one of the greatest artists of all time and has always stated how much he learned from Jimi's example in terms of a general artistic approach to music. Because of Uli's affinity with Jimi's music and the power of his interpretations, he has been invited to perform at many Jimi Hendrix inspired events; that included one of the few concerts Uli played during his hiatus from touring took place in Cologne, Germany, in 1991, where he acted as the musical director for a German television show which was devoted to celebrating the music of Jimi Hendrix. This event featured Jack Bruce, Simon Phillips, Randy Hansen, Uli's brother - Zeno Roth - John Wetton, Jule Neigel, Peter Bursch and many others. It was Uli’s intention to particularly emphasize the less well-known, deeper and more meaningful songs of Jimi’s rather than taking the obvious route of concentrating on a display of his greatest hits. The show was a great success by all accounts; particularly so with the television audience. The broadcast, which had been produced for the Rock Palast series, was to be repeated over twenty times altogether due to popular demand. In the following year, 1992, Uli wrote his first symphony, Europa Ex Favilla, a work which had been commissioned by a classical Guitar Festival in Belgium in order to celebrate the opening of Inner-European borders. The Europa Symphony received its premiere at the Forum in Liège, Belgium, in April 1993, within the framework of a concert televised by German television. The music was performed by the Brussels Symphony Orchestra and a classical choir from Namur under the title Symphonic Rock for Europe. There were almost 100 musicians on stage, including an electric band with Don Airey on keyboards and four rock tenors, Michael Flexig, Tommy Heart, Peter Goalby and John Parr. Uli was the artistic director and the orchestra was conducted by the leader of the Liège conservatory, Bernard Dekaise. The three-hour long program consisted of original Uli Jon Roth compositions from Soldiers of Grace, as well as some classical masterpieces which Uli had arranged for symphony orchestra and band. Highlights of these included parts of Mozart’s Requiem, Beethoven’s Fifth Symphony and Vivaldi’s Four Seasons. The event was a resounding success with the audience and presented a novel, though organic mixture of classical and rock music. 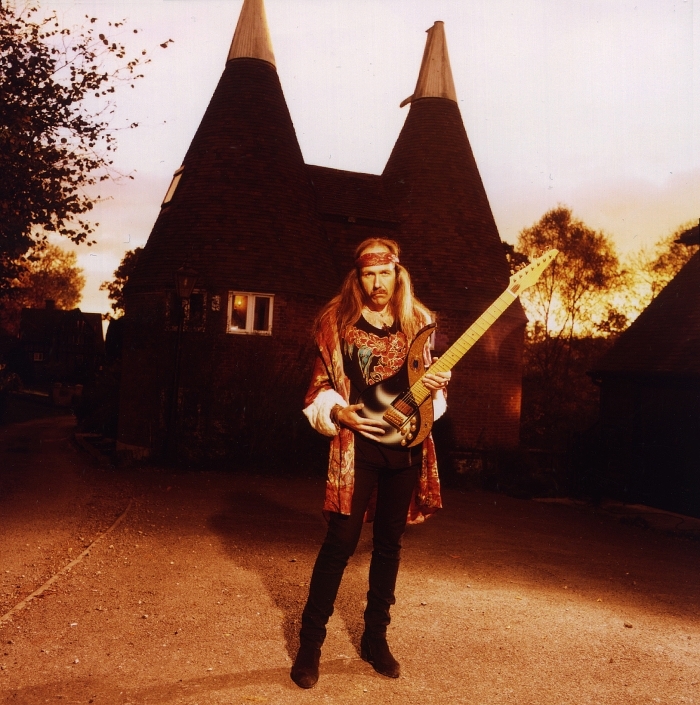 Uli spent the following three years at his studio in the Oast House at Earls Farm, near Tunbridge Wells, England, writing and recording a lot of new music. 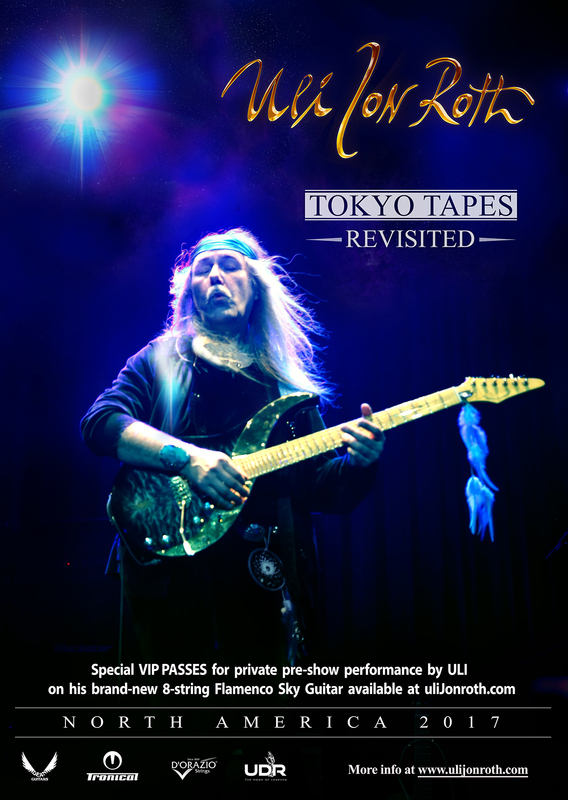 Following the success of the Symphonic Rock For Europe concert, Uli was now in the enviable position that no less than six record companies in Japan were vying for his attention to sign him up for a new record deal. Uli eventually decided on signing with a relatively new label, ZERO records, under CEO Toru Hashimoto, who soon became a close friend, and a major new record contract resulted. However, Uli was unable to meet the agreed upon deadline for a finished new album and it was mutually decided to open up the intended cycle of Symphonic Legends with a short 35-minute "teaser". This was to be Prologue To The Symphonic Legends, the first of a series of Uli Jon Roth - Sky of Avalon releases. The style of the album was highly melodical, symphonic rock, and contained several outstanding tracks, including Starlight, Winds of War and Bridge to Heaven. The CD got released early in 1996 and immediately attained second position in Japan's international charts, selling no less than 60 000 copies on the first day of its release in Japan. At around the same time, in December 1995, Uli took part in a TV charity event in Leipzig, Germany, hosted by the famous opera singer José Carreras, which featured the Three Tenors, Sarah Brightman, Anne-Sophie Mutter, Monserrat Caballe, Udo Jürgens, Sarah Brightman, Bonnie Tyler and Kim Wilde among others. Together with his one-time colleague, Scorpions singer Klaus Meine and the Prague Symphony Orchestra, Uli performed one of the Sky of Avalon pieces, Bridge To Heaven, based on the celebrated Puccini melody, Nessun Dorma. In April 1996, Uli’s long-time girlfriend, Monika Dannemann, died unexpectedly, which came as a tremendous shock and irreplaceable loss to Uli, her family and all her friends. 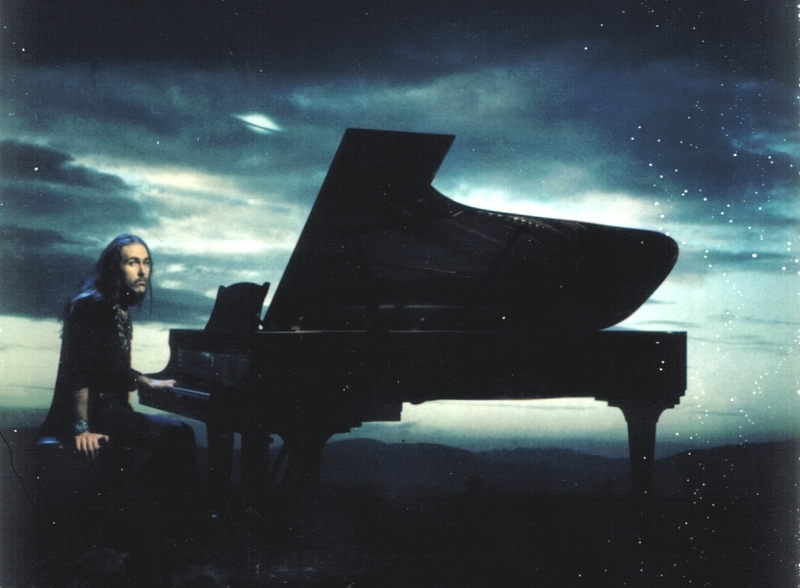 Uli immediately abandoned working on the album he had been recording - Soldiers of Grace - and instead, responded by starting to write Requiem For An Angel in Monika's memory, a large-scale work in the style of the Symphonic Legends. He worked on this piece over the course of several years and did many recordings with the orchestra, as well as with various vocalists, but while the music and inspiration was flowing abundantly, some logistical obstacles proved too hard to overcome. As a result, unfortunately, this double album remains unfinished until the present day, despite the fact that much of it has already been recorded and the score had largely been completed. Uli considers this music as some the best he has written so far and intends to still finish it at a later stage. 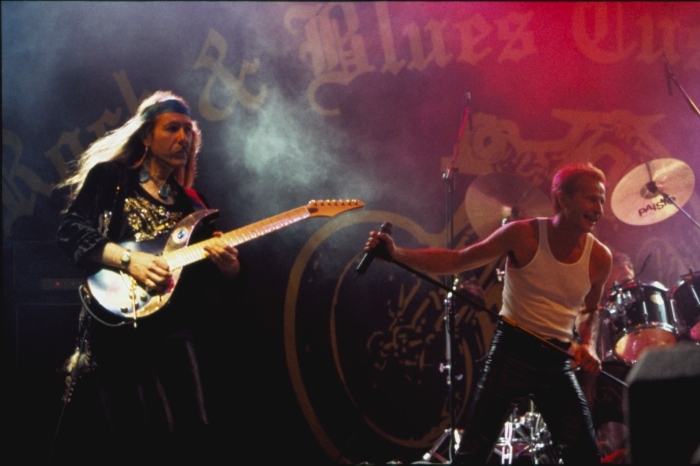 After a thirteen year absence from touring, in 1998, Uli accepted an invitation by Joe Satriani to participate in a large-scale European tour of the G3 together with Michael Schenker. Highlights of this tour included an onstage jam session with Brian May at London’s Wembley Arena and a tremendously successful UJR performance at the Monsters of Rock in Turin, Italy. This was followed by the release of a double album Transcendental Sky Guitar, which was partially recorded live in Vienna, partially at his studio, Plas Tanybwlch, in Aberystwyth, Wales. 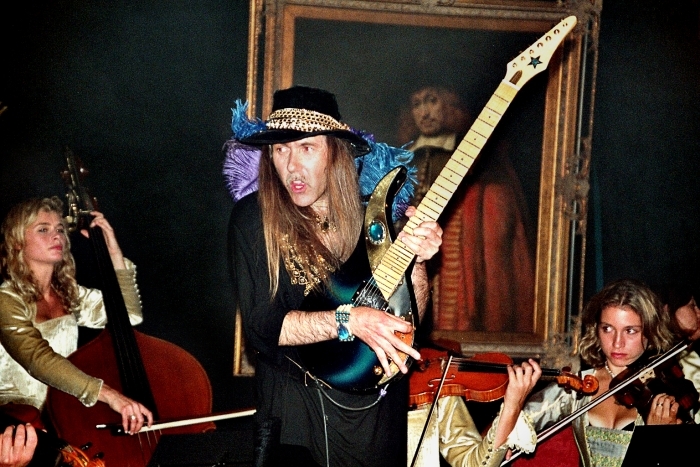 The album consisted of many interesting pieces, including classical ones, interpreted by Uli on his Sky Guitars and was generally well received by critics and the audience. In the year 2000, a large part of this album was performed live by Uli with the Detmold Chamber Orchestra. The second part of the evening was devoted to a complete rendition of Vivaldi’s Four Seasons concerto. Uli was the first electric guitarist to perform Vivaldi’s timeless masterpiece note for note on the guitar, which is only feasible because of the unique, by now legendary Sky Guitar. Uli invented and designed this instrument in order to obtain nearly twice the tonal range of a conventional guitar. This means that it enables him to play in the highest registers of the violin range as well as those of the Cello. In 2001, Uli Jon Roth was hosting a special concert at the Derbyshire Rock & Blues Festival at Castle Donington, in the UK. 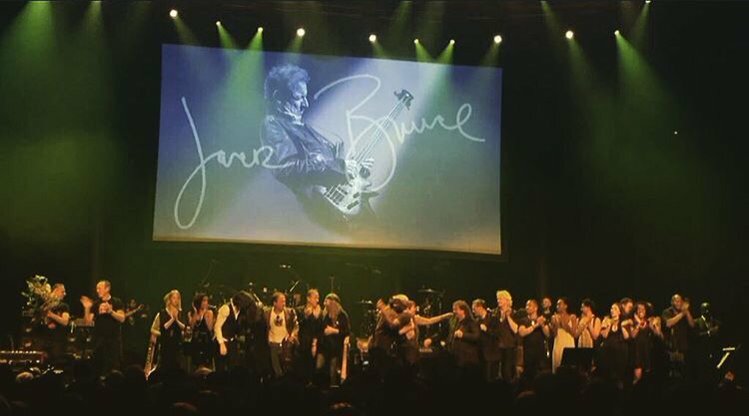 His special guests on stage included rock legends Jack Bruce, UFO with Michael Schenker, Don Airey and Clive Bunker. This concert was later released as a DVD under the title Legends of Rock at Castle Donington. 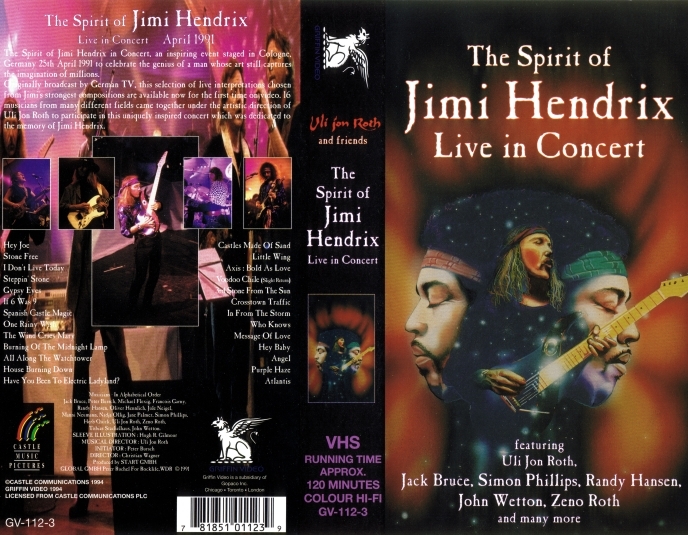 A Legends of Rock UK tour, comprising of thirteen dates followed one year later, in 2002, which also featured Jack Bruce, who – together with Uli and Clive Bunker – performed a Spirit of Cream set. 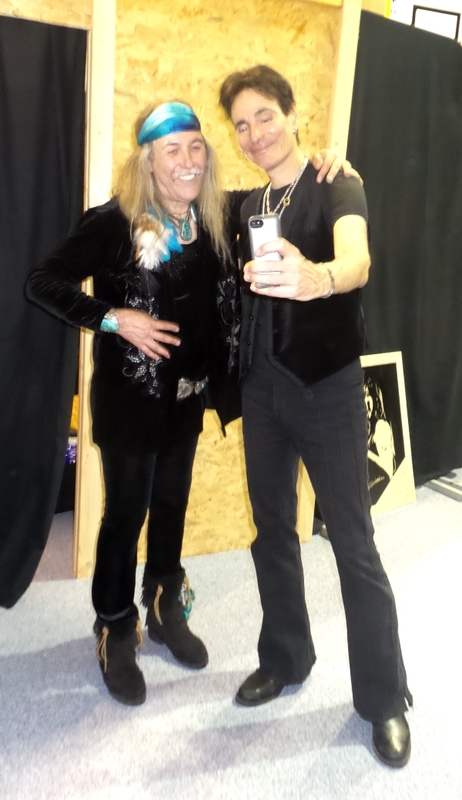 The tour also featured Glenn Hughes and Uli’s gifted friend and Canadian guitar legend, Frank Marino of Mahogany Rush, who had not toured the UK for a long time. In the following year, 2003, Uli recorded Metamorphosis of the Seasons in his studio in Aberystwyth, Wales. The album contains an ingenious version of the complete Four Seasons by Antonio Vivaldi as well as a new concerto, which Uli wrote as sort of a “fifth season”. Based on themes from Vivaldi's master piece, the work is entitled Metamorphosis Concerto and rounds off the album, which came with no less than 60 pages of lavish artwork by Uli himself. Together with his Sky Orchestra, Uli produced a truly monumental album. The following year, 2004 Uli embarked on long co-headlining tour of America with Michael Schenker, where he performed with just a keyboard player and a multi-media screen. In the autumn of that year he played a concert entitled Rock meets Renaissance, which featured guest artists Doro Pesch, Victor Smolski and Liz Vandall. In 2005, Uli Jon Roth played a first re-union concert with his old band Scorpions in Colmar, France. They had not appeared on stage together since the days of Tokyo Tapes, in 1978, when Uli had left the band. This was followed by several other such shows in England, Germany and Greece. In 2006, the Scorpions performed a reunion concert at the world’s biggest Heavy Metal festival, the Wacken Open Air in Germany, in front of more than 80 000 people featuring Uli, Michael Schenker and Herrman Rarebell. The concert resulted in a DVD release under the title of A Night to Remember. 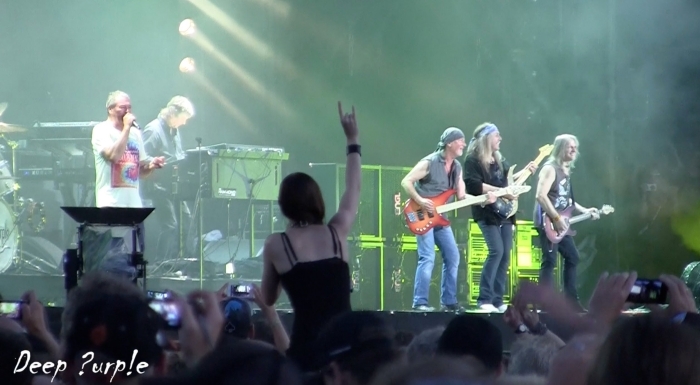 Further particular highlights of these reunion shows were appearances at the Sweden Rock Festival in 2007 and two sold-out, spectacular shows at the Karaiskaki Stadium in Athens, Greece, in front of 40 000 people each time, the first of which had none other than Joe Cocker play support for the Scorpions. During that same year 2006, Uli Jon Roth founded a teaching facility in Los Angeles and named it Sky Academy with the purpose of sharing his musical philosophy. The first five day seminar was held at the Ralph Freud Theater on UCLA campus and included three epic Sky Academy Concerts with a plethora of twenty-five guest artists, including Robbie Krieger of the Doors, Don Dokken, Chris Impelliteri, David Paich and Joe Stump. Since then Uli has held over sixty Sky Academy seminars in many different countries. With their wide-reaching range of teachings, these seminars have proved very popular not only with musicians, but also non-musicians and fans. Uli loves teaching and is currently preparing his first Sky Academy book, which is devoted to the metaphysics of music. Over the years, Uli has gained a reputation as being an accomplished improviser on the guitar, who is able to play virtually anything unpremeditated and completely off the cuff. 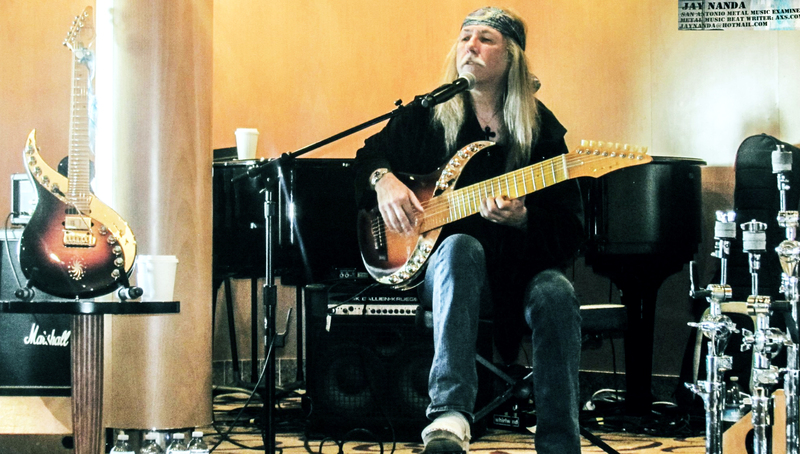 Because of this rare ability, Uli has often been invited to spontaneous guest appearances with other artists. Over the years, Uli appeared and jammed several times with Deep Purple, The Smashing Pumpkins, Slash, Jack Bruce, Rick Wakeman, Michael Schenker, Paul Gilbert, Doro, Avantasia, Rachel Barton-Pine, Robbie Krieger, Leslie West, Gamma-Ray, Richie Kotzen, Angra, Gus G, UFO and many others. Uli’s uncanny ability to jam and improvise in an inspired manner even over songs he has never heard before was amply demonstrated in front of a live audience of some 90 000 people in 2007, where Uli appeared as a guest of none other than the Smashing Pumpkins, who headlined the Rock Am Ring Festival that night. The event was televised and Uli played some unforgettable, completely improvised guitar leads together with a visibly excited and delighted Billy Corgan. The result was a 20-minute-plus, no-holds-barred improvisation over the background of Billy’s haunting and rare song Gossamer, which proved to be the musical highlight of the evening. This was followed by a joint starring appearance which featured Billy Corgan and Uli Jon Roth in a TV show Durch die Nacht (Through The Night) for European ARTE Television. Following the established framework of this interesting, if somewhat eclectic television series, the two artists visited altogether six different locations together in Hamburg, Germany. This served as a stimulating backdrop for some fascinating conversation between the two greats, while the cameras whirred in the background, basically unnoticed by either of the two. The locations included the same hall, where Uli had first seen Jimi Hendrix live as a teenager – back in January 1969 – a moment which had made a great and lasting impact on Uli. Billy and Uli set up their amps on that same stage and started jamming spontaneously. They also visited an arts gallery, a wrestling school, because of Billy’s interest in that sport and various other places. Their final and most relaxed stop was at the home of their mutual friend Chris Adams, inventor and CEO of the Tronical Powertune self-tuning guitar system, which Uli uses on all of his active Sky Guitars since 2006. Billy and Uli further jammed on acoustic guitars and talked into the night. The result was a unique program, which presented a lot of new and personal insights into these two, somewhat enigmatic artists, who come from very different genres of music, but who nevertheless have much in common at the same time. Uli and his friend Billy Corgan visting a Hamburg Wrestling school during "Through The Night"
In the autumn of 2008, Uli Jon Roth released a new studio album, Under A Dark Sky, which had been in the making for two years and which was recorded at Uli’s then studio in Brandenburg, Germany near Berlin, Schloss Rietzneuendorf, a large mansion, which Uli loved for its unique acoustic qualities. 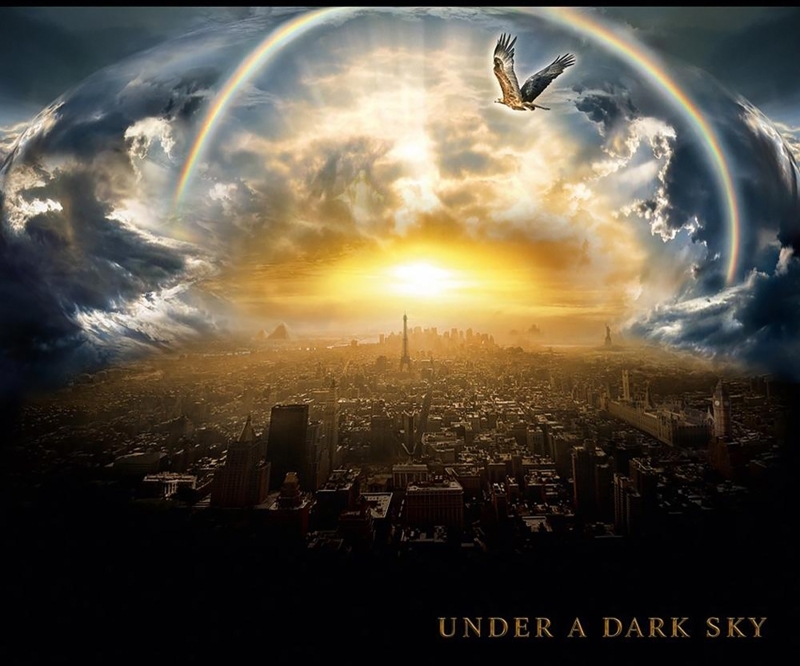 Under A Dark Sky featured Sky Orchestra as well as rock musicians. Uli’s favorite female singer, Liz Vandall and Mark Boals were sharing lead vocals. The concept album culminated in the monumental 18-minute epic Tanz in die Dämmerung, the idea of which was loosely based on a novel under the same title written by Uli's father, Carl-Joseph Roth. Uli was not entirely happy with the final mix of the album, because it had to be done in a rush, since a world tour had been booked, which would have to be cancelled in case of a delayed release. He felt that more could have been done to bring out the full sonic potential of this work. The album was first premiered live at the G-Taranaki Guitar Festival in New Zealand, where Uli also taught several Sky Academy seminars in auditoriums to literally hundreds of school children of various ages in three high schools. Uli also jammed with Slash and Tony Franklin at the 2nd festival G-Taranaki . This was followed by shows in Europe and a US tour as well as by a tour of Japan. In 2012, Uli debuted at the Royal Albert Hall in London, performing for the Sunflower Charity, which is dedicated to alternative cancer research. On this memorable evening, Uli shared the stage with Bruce Dickinson, Brian May, John Paul Jones, Mark King, Brian Auger, Alfie Boe, Alice Cooper, Ian Paice and Sandi Thom. In general, Uli’s touring schedules picked up increasingly over the course of the next years due to increasingly popular demand, and in 2013 Uli played almost 110 concerts - including his first tour of South America - and held over twenty Sky Academy seminars in the same year. In the summer of 2013 Uli had several high-profile guest appearances at some of the world's largest festivals. He guested with Smashing Pumpkins at the Glastonbury Festival in England, as well as with Deep Purple and Doro at the Wacken Festival, where he also performed a memorable set of his own. In the autumn of that year Uli recorded Scorpions Revisited, a double album consisting entirely of his favourite early Scorpions songs which were given an exciting new lease of life. The album was received extremely well by fans and critics alike and sold an astounding amount of copies (measured by todays' standard) world wide. Several tours followed with the Scorpions Revisited program. In 2014, Uli became the annual patron of the premier guitar festival of France, Guitare-en-Scene, in St Julien-en-Genevois. Apart from performing a blistering Scorpions Revisited set with the outstanding young singer Nathan James on vocals, he was musical director for a second performance to take later that day on the same stage, which included his two friends and guitar colleages, Steve Vai and Steve Morse. Together these performed short, but riveting set made up entirely of Jimi Hendrix songs as a special tribute to the great man and as a fitting close to a very memorable festival. Monika Dannemann's paintings of Jimi were projected onto a big screen at the back while the music was playing. 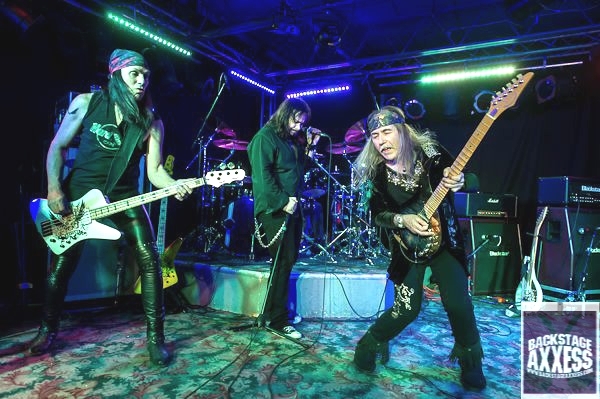 In the beginning of 2015 Uli headlined a long tour of the US, called Extreme Guitar with fellow guitarreros Vinnie Moore and Craig Goldy. John West was on vocals and Kofi Baker on drums. where Uli played the Scorpions Revisited program in the same hall where Tokyo Tapes had been recorded in 1978, the Nakano Sun Plaza Hall in Tokyo. The 2000 people strong audience was visibly moved by this historic event, particularly so because many of these songs had not been performed in Japan since the Seventies and there exists a very special bond between the Japanese music-loving audience and Uli. In honour of this special event, Japan's premiere guitar magazine, Young Guitar, devoted a whole special 125 page issue to Uli soon after the Sun Plaza Hall concert. 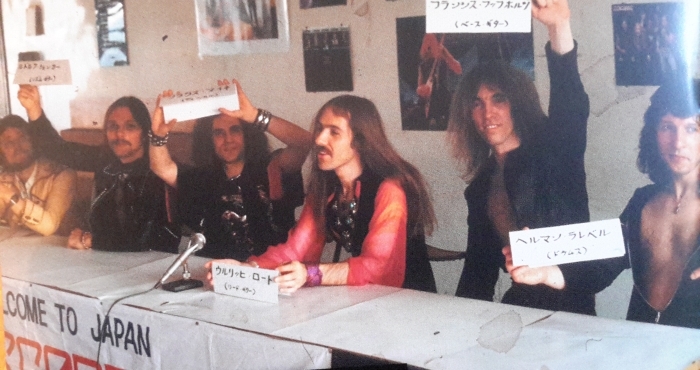 That same week, Uli Jon Roth also held the first ever Sky Academy in Tokyo, a much-anticipated event, which was a resounding success. From there, Uli flew straight to Singapore and gave another Sky Academy seminar, where he also engaged in several impromptu renditions of some Scorpions classics with the talented guitar looping artist Randolf Arriola. That same year saw Uli's participation in two further cruises, Full Metal Cruise II & FM Cruise III in the mediterranean as well as the Baltic/North Sea. A very important new development in Uli's career came during the summer of 2015, when Uli embarked on his first ever Acoustic tour in Greece. Uli finds this format very interesting, because it gives him exciting new possibilities to explore new musical avenues. Especially for this purpose, Boris Dommenget built a revolutionary new Sky Guitar prototype with two necks, which enabled Uli to combine flamenco style finger-picking techniques on a seven-string nylon guitar, with a standard electric Sky Guitar. The guitar was aptly named Mighty New Dawn and was ready just in time for the first shows in Greece, early in September of that year. In the following month, Uli took part in a tribute concert to his long-time friend Jack Bruce, who had died a year before. Many artists, including Ginger Baker, Ian Anderson, Mark King and Phil Manager gathered at London's roundhouse in order to perform a fitting tribute to this musical legend. The year closed for Uli Jon Roth with his first ever performances in Abu Dhabi and Dubai, United Arab Emirates, where he was received with total enthusiasm, followed by his first show in Tel Aviv, Israel, at the Titans of Metal Festival. In the beginning of 2016 Uli was one of the artists partaking at the Monsters of Rock Cruise from Miami to the Bahamas. This was immediately followed by an extended 37-date North American UJR Tour under the theme of The Ultimate Guitar Experience. It was an exciting tour for which Uli was joined by none other than Jennifer Batten and Andy Timmons as very special guests. After some European Dates, a second Cruise followed later that year, the Full Metal Cruise IV, traveling the North Sea and Scandinavia for 5 days. 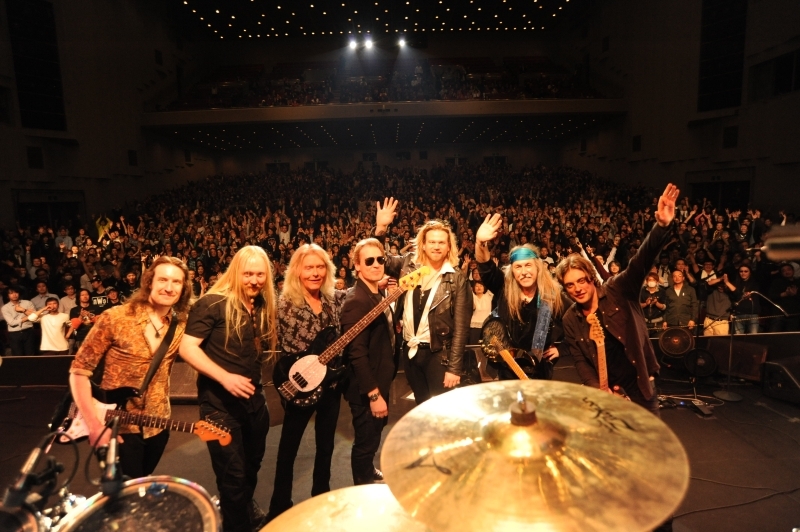 Straight from a successful tour of France and Russia Uli and his band flew to Japan to take part in the annual Loudpark Festival at Saitama Super Dome. 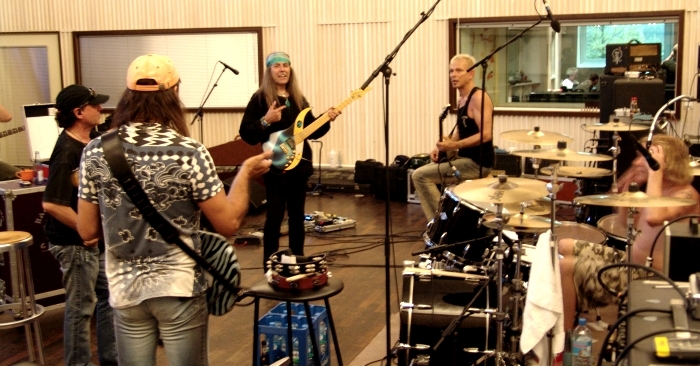 Uli was invited to guest with the Scorpions, who were headlining the Festival and the next day he played his own Tokyo Tapes Revisited set for the Japanese fans. This was also, very unfortunately, the last mutual show with his close friend, Elliott Rubinson, who had to withdraw from playing due to a battle with brain cancer. The Limited Edition of 50 Authentic Sky Guitars was successfully completed in 2015. (All Sky Guitars were hand built by Uli’s favourite guitar builder - master luthier Boris Dommenget.) However, tragically Elliott died too young, at the beginning of 2017, due to cancer. Uli and Elliott had been close friends and this came as a great shock and loss. Later that same year, Uli decided to form his own Sky Guitar company – UJR-SKY-GUITARS - dedicated to producing new series and models of Sky Guitars. Uli’s latest Sky Guitar innovation came in the form an acoustic 8-string Sky Guitar with Nylon strings, called “Flamenco Sky Guitar”. Uli showcased that guitar at the Sala Cicca on the Spanish Island, Gran Canaria later that year. 2016 ended with a tour of Germany. Beirut in Lebanon was the first stop of 2017 for Uli and the audience gave him and his band a very warm welcome at the Metro Al Medina. In February, Uli flew to America and took part in another 70 000 Tons of Metal Cruise, this time from Florida to Haiti. Playing another memorable set on the open-air pool deck despite enormous wind force while the gigantic cruise liner, Independence of the Seas was trying to evade storms at top knots. A 35-date Tour of North America followed in February and March, dedicated to promoting the Tokyo Tapes Revisited Blu-Ray/DVD release, which was met with great critical acclaim all over the globe. For this tour Uli played a solo acoustic set before each show as a VIP-guests-only event fir which he had written a new and moving 10-minute solo piece dedicated to Elliott Rubinson, “Nightfall in Manhattan” who had just passed away the day of the beginning of the tour. After the US tour, Uli played a tour of the UK, which was followed by the second cruise of the year – Full Metal Cruise V – which took place in the Mediterranean Sea. Various shows in Europe followed as well as several headlining shows at Summer Festivals, such as Bucovina Castle Rock Festival in Rumania, Olomouc Bounty Rock Festival in Czech Republic, Vosterfestern in Bree, Belgium, Basilicata Festival in Matera, Italy, Rockuja Festival in Poland and Billevue Festival in Hamburg. Further very memorable Festival appearances took place in St Nolff, France, Wacken open Air and Metalhead Meeting in Bucharest, Romania. It seems that - after nigh-on fifty years as a performer on stage - Uli Jon Roth is keeping busier than ever and is unstoppable. He also has written a lot of material for a new album and has started recording it. 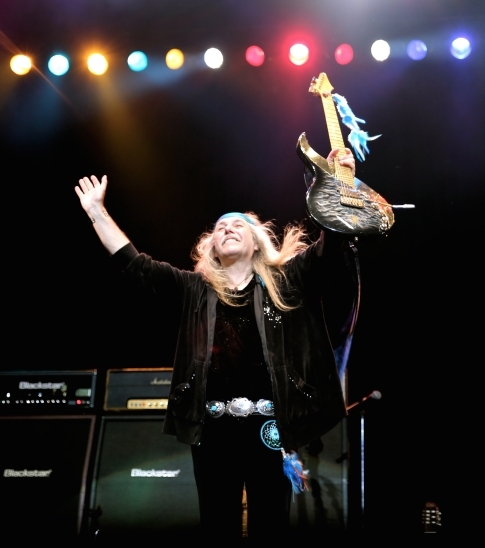 Those who have been lucky enough to witness Uli's live performances in recent years will testify that his concerts are an expression of the highest art of guitar playing and each onstage appearance by Uli Jon Roth is a unique occasion, because he always manages to create new magic on stage through his guitar playing and his inspiring persona. Uli is equally at home on stages of all sizes, from smaller, intimate venues such as clubs to stadiums and festivals and he always manages to captivate the attention of audiences all over the world by tapping into the very heart of music itself. Uli considers his live performances as a very important and irreplaceable part of his overall artistic life, and he loves to keep his shows as free and spontaneous as possible, often appearing without a fixed set-list and always open to incorporate spur-of-the-moment ideas into his set. By all accounts, 2018 is going to be another very busy touring year for Uli Jon Roth. Please, stay tuned!